I've been a fan of The Mortal Instruments for the last year or so, loving the books and the Shadowhunter world to the point of obsession. That being said, The Mortal Instruments wasn't without problems. I wasn't a huge fan of City of Fallen Angels, and sometimes Cassandra Clare's descriptions left me feeling a little confused. It's a series I love immensely, in spite of issues, put it that way. 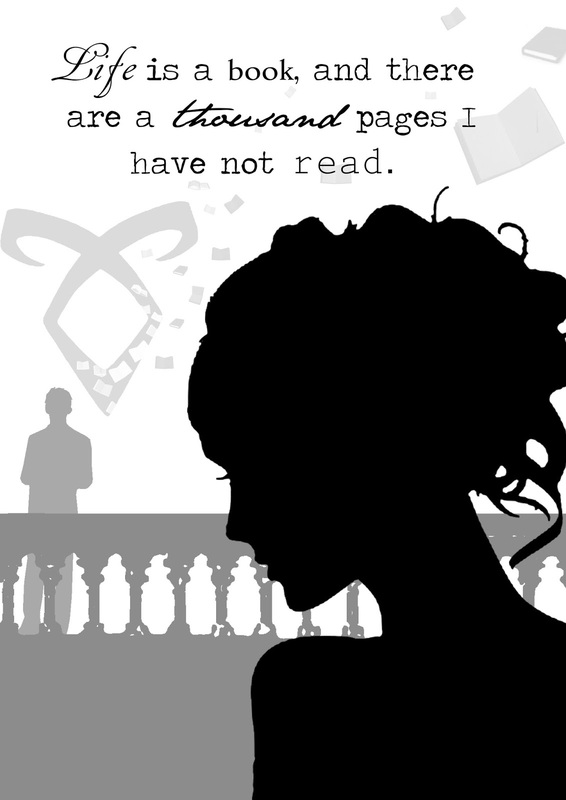 Then The Infernal Devices came into my life, and nothing was ever the same. 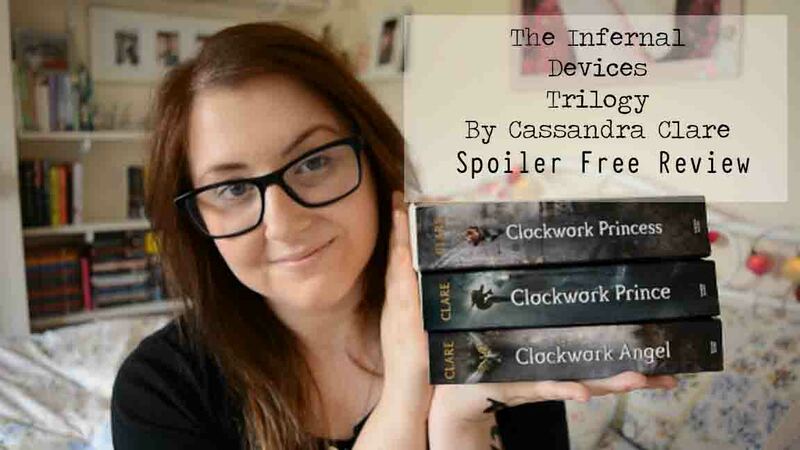 Clockwork Angel was much more captivating as a first book in a series in comparison to City of Bones - and it should be, considering COB was Cassandra Clare's first published book. It was beautifully written, gone were the clunky descriptions and overused words and phrases, it was simply stunning. Once I delved into Clockwork Prince, I was hooked. The love triangle was sensitive, sweet and touching, something I can't say about TMI. I love a good love triangle, provided it has weight on all three sides, and for me, The Mortal Instruments never had that. The chemistry between Will and Tessa was electric, and the love between Tessa and Jem was nothing short of beautiful. What didn't I like? The happy ever after ending, where every character was coupled off wasn't to my taste, it was a little too perfect. I also felt Will Herondale's good looks were drummed into us a little too often, we know how good looking he is, let us remember it for ourselves once in a while. 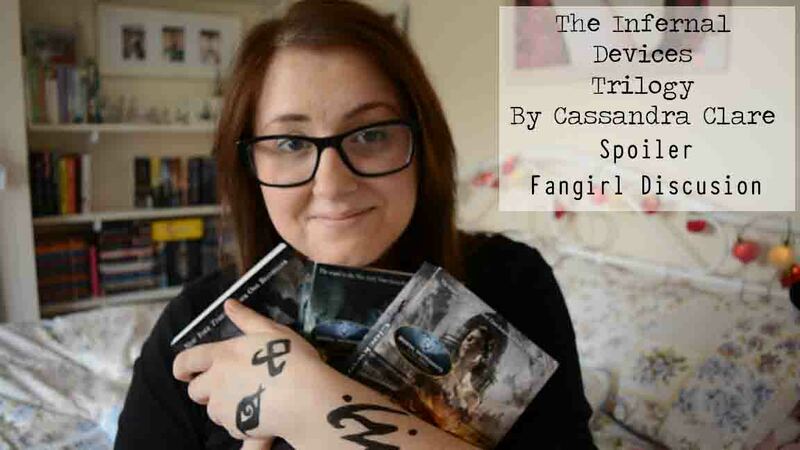 The books are arguably better than The Mortal Instruments, and I found it hard to believe I would love these characters more than Jace and Clary. But I did, because the kinks were ironed out, it was executed better, the pacing was on point - in short, I am now a dedicated, obsessive Fangirl for The Infernal Devices. 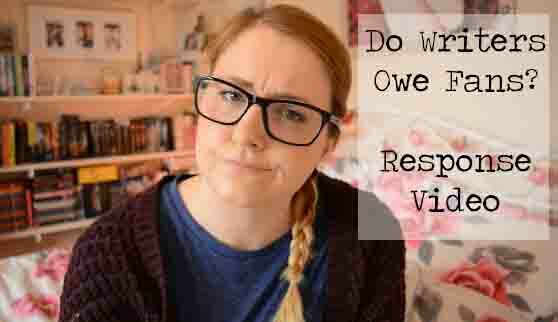 Do Writers 'Owe' Their Fans? Do writers owe their fans? Honestly, I'm not entirely sure. In my opinion it's a question far too broad to answer simply with yes or no. Because where do we draw the line? It's something that I have thought about several times, but a video discussion by fellow Booktuber Thoughts on Tomes prompted me to create this blog post, and a video response of my own. It's natural, and ultimately a compliment for the audience to feel a certain level of attachment to the characters, story, and world that has been created for them - but what exactly does a writer owe to their loyal fan base? A writer, be it for television, books, or any other medium should have the freedom to develop their story as they wish - I don't believe we are owed our desired ending. That being said, I do think that writers owe it to their writing, to their 'product', to complete their story with the same message that they laid out from the beginning. I'm not talking about character or plot developments, I'm talking about the very core, the essence of the story. Because let's face it, that's why so many people get so frustrated. When characters pair up and there has been zero foreshadowing and chemistry, when the very premise of the story is contradicted until the first book, episode, or season is nothing but a distant memory. No, we aren't owed our desired ending. But if we are owed anything at all, in my mind, it's a conclusion for the story that we were sold on from the very beginning.